. 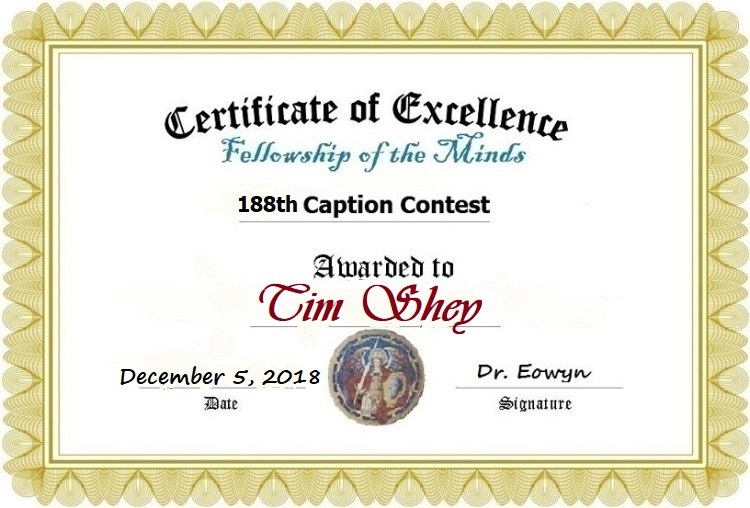 . . for FOTM’s 188th Caption Contest! The writers of FOTM voted for what each considers to be the best (#1) and second-best (#2) captions. Each #1 vote is worth 4 points; a #2 vote is worth 2 points. And the winner of the 188th FOTM Caption Contest, with three #1 votes, totaling 12 points, is . . .
For all the other caption submissons, go here. This entry was posted in #MeToo, Humor, Liberals/Democrats/Left, Radical feminists, Supreme Court, United States and tagged Brett Kavanaugh confirmation. Bookmark the permalink. Then the Lord shut him in..isn’t that how the verse reads? ?